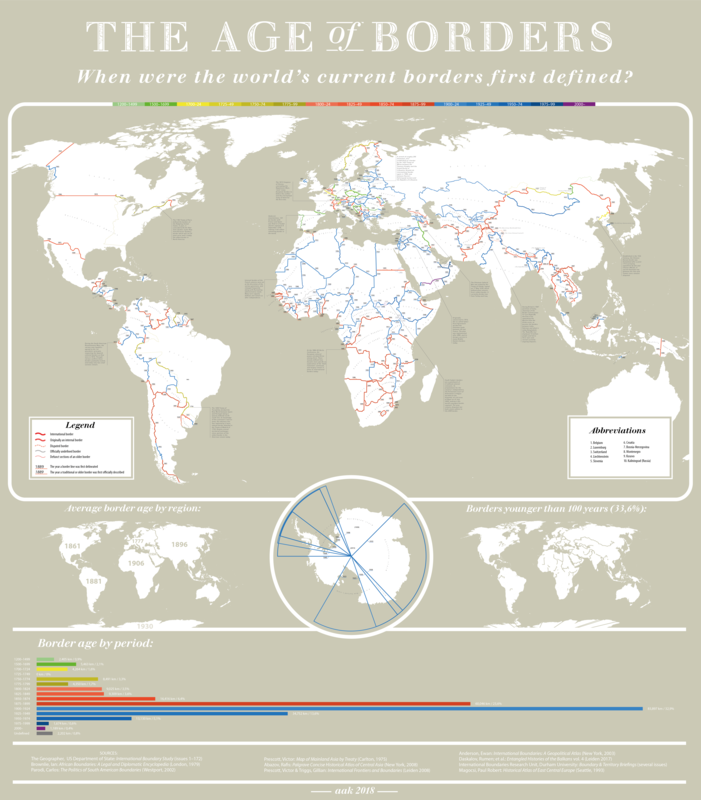 This brilliant map by Norse Redditor PisseGuri82 explores the question, “When were the world’s current international borders first defined?” Today’s international borders loom large in the consciousness of people around the world. Ask anyone to imagine a world map, and the first thing that they will think of is the outlines of various modern nation-states. But that was not always the case. Far from being an innate feature of our planet’s landscape, or even having significant historical basis, most of the world’s international borders were only created in the 20th century, and they came into existence with only the stroke of a pen. decolonial atlas has been an invaluable resource in my reframing of my home as the Eastern Woodlands of Turtle Island.